One of the oldest and most famous cartoons, "Popeye the Sailor," turned 90 earlier this month, but some Arkansans might not know he has a shared history with The Natural State. Popeye debuted in a comic strip called "Thimble Theater" on Jan. 17, 1929. He would go on to appear in animated television shows, radio dramas and even a live action movie starring Robin Williams. And in 1966, Popeye came to Northwest Arkansas as part of a promotional deal to help sell spinach, which he was famous for eating to pump up his muscles. The Steele Canning Company, founded in 1924 by Joe Steele in Springdale, landed the promotion. Steele memos detailed how the company gained the character rights and launched a new product, Popeye Spinach. The canned item featured a full-color label with Popeye. Steele announced the new product at the Americana Hotel in New York City in December 1965. It would be the first time Popeye ever appeared on a can of spinach. "It is our belief that the introduction of the Popeye label will create a larger consumer interest in spinach," Steele said. "Spinach ranks seventh in annual vegetable sales, and we think it should be higher than this." As part of the promotion, New York actor Herb Messinger, who had portrayed Popeye for years, came to Arkansas, and on April 23, 1966, sailed across Beaver Lake on his own boat into the Hickory Creek Marina. The character inspected local spinach crops, visited the Steele Canning Company and even posed for pictures on a local spinach farm the following day, a memo stated. Popeye Spinach appeared on store shelves across America that year. The Steele Canning Company even released recipes for "Popeye Puffs" and "Popeye Spinach Au Gratin." Some Northwest Arkansas residents may recall a 7-foot Popeye statue was placed in Springdale in 1967 after Popeye Spinach hit the market. 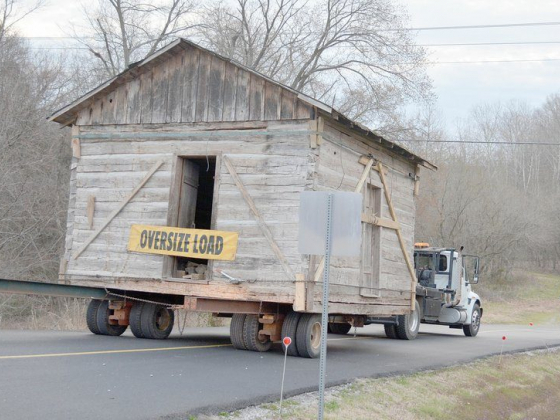 It became a popular fixture with local residents who enjoyed seeing it as they drove by. The statue would later be moved around Northwest Arkansas as different companies -- among them Allen's Inc., Sager Creek, Del Monte Foods and McCall Farms -- bought Steele Canning and the rights to Popeye Spinach. Then, in May of 1989, the Popeye statue went missing. The statue's disappearance sparked a national media frenzy with newspaper reporters and radio disc jockeys across the country wanting to know what happened. Popeye was found in rural Springdale, and David Allen, then vice president of personnel and public relations at Allen's Siloam Springs headquarters, said it was likely a fraternity prank. The statue was eventually returned to his post in Springdale and anchored, so as to not be stolen again. In April 2018, the Sager Creek Vegetable warehouse in Springdale, where the statue stood, was shuttered following Del Monte selling the company to McCall Farms. A Del Monte spokesman was unable to provide details on the statue's whereabouts, although Alma still has a 6-feet bronze Popeye statue at a park downtown. The character's ties to The Natural State all started with a canning company in Northwest Arkansas. That same company also had a promotion with The Beatles to sell beans, but that's another story.